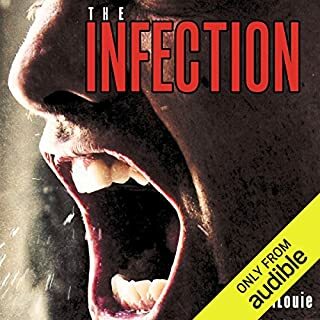 The end begins with a viral outbreak unlike anything mankind has ever encountered before. The infected are subject to delirium, fever, a dramatic increase in violent behavior, and a one-hundred percent mortality rate. Death. But it doesn't end there. The victims return from death to walk the earth. When a massive military operation fails to contain the plague of the living dead it escalates into a global pandemic. In one fell swoop, the necessities of life become much more basic. Gone are petty everyday concerns. Gone are the amenities of civilized life. Yet a single law of nature remains: Live, or die. Kill, or be killed. On one side of the world, a battle-hardened General surveys the remnants of his command: a young medic, a veteran photographer, a brash Private, and dozens of refugees, all are his responsibility-all thousands of miles from home. 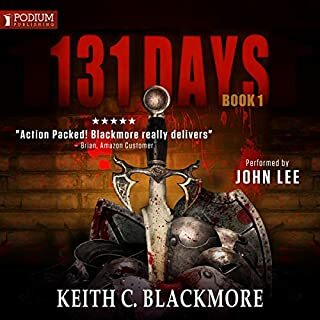 Back in the United States, an Army Colonel discovers the darker side of Morningstar virus and begins to collaborate with a well-known journalist to leak the information to the public...The Morningstar Saga has begun. ©2006 Z.A. 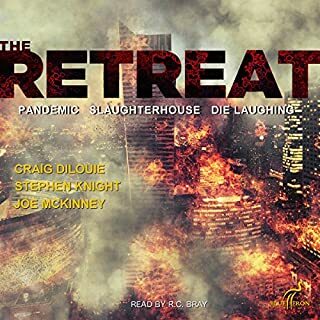 Recht (P)2009 Audible, Inc. I really enjoyed this book. 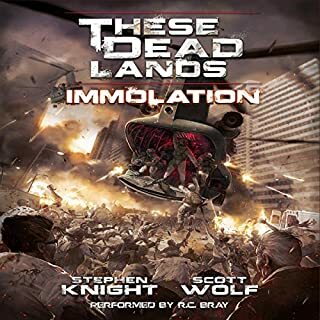 It was neither original nor ground-breaking but it does the most important thing a good zombie story should and keeps you interested by building decent characters and making you care about them . . . while of course putting them through various stages of hell one earth! Even then it's not perfect, the early part uses e-mail exchanges to build the background which would be a neat idea if not for the long repetition of the e-mail addresses etc that accompanied each such interlude. I'd also believe that not all stressed American soldiers sound like Shaggy out of Scooby Doo either. 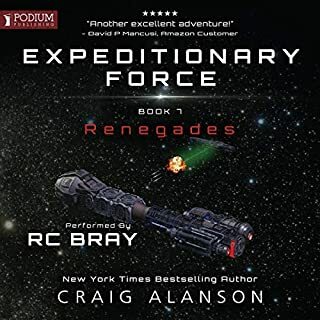 Those things aside though this is a fine audiobook, the narrator does do a good job with it such that characters are easily distinguished for the most part and the story moves long at a good pace. If you like good stories with zombies then this is as good a book to spend your credits on as most in the genre. How do you do an original Zombie story? I don't know and I suspect that the author of Plague Of The Dead doesn't either, as this book is as derivative as they come. It includes aspects from all the zombie films you are likely to have seen over the last 10 years and borrows from other films as well. For example the Private who does most of the truck driving in the early part of the book sounds just like Bill Paxton's character in Aliens. It includes the same sort of silly view of the American Army employed by so many other films - small groups of soldiers with limited ammo trying to hold out against hordes of undead. When in recent history has this ever been the American approach? Why bother with ground soldiers, when a few carefully placed napalm canisters would easily take out thousands of these undesirable civilians. So it is an unoriginal and very unrealistic story, but I have found myself hooked just the same. The pace is unrelenting and gets you wondering where it is going next. The narrator is very good as well. I would recommend it to anyone wanting an undemanding bit of grisly entertainment. 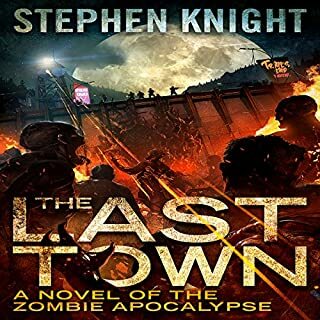 This is essentially written as a zombie-flick on paper and having not read too many in the genre cannot compare how it matches up to other such books. All I can say is that having read the synopsis and purchased it, I was not expecting Tolstoy and in this respect I was not disappointed! It is great fun, with an easy plot, lots of action and predictable characters. 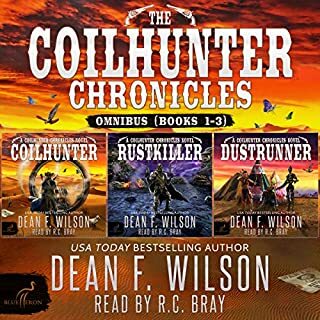 As the first in the Morningstar Trilogy, it leaves the storyline open for the next book (Thunder and Ashes) which I would happily listen to, but have been somewhat put off by the fact the author tragically died in December '09, leaving the final installment of the series incomplete. Slow start but stick with it! Well after the first 10 minuets it was driving me wild with the repeating of email addresses but after that it was worth the wait. As a fan of the walking dead, this runs on a similar path though with goverment agencies and the military. Gripping stuff and you dont want it too end. As another reviewer has already mentioned, 'Plague of the Dead' is not exactly original. Put simply, if you've seen any of George Romero's zombie movies, there is nothing in Recht's novel that will surprise you. That said, what's here is well done. Recht creates some interesting (if cliched) characters, and describes some wonderful scenes of set-piece combat. This novel outlines the origins of a global pandemic, detailing how the world's military forces attempt - and fail - to contain it. Recht charts the decline of the military, focussing in particular on one American unit commanded by a General Sherman. After losing numerous people at Suez, the unit returns to the States and deserts, preferring to see to their own survival rather than trusting in the chain of command. Recht does a good job of highlighting their desperate search for supplies, so that rather than just unleashing an endless hail of unlimited bullets at their undead opponents, the soldiers actually have to think more tactically than this. 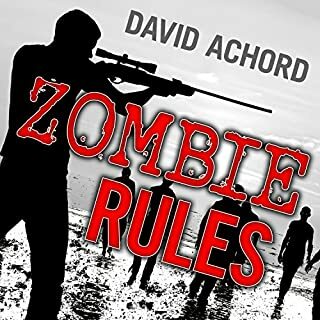 This allows Recht to describe some genuinely tense scenes, in which the soldiers try and sneak around zombies and, when this fails, have to be rather miserly with their bullets. It's not all action, however. 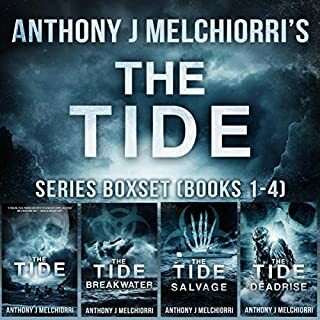 Recht spends quite some time looking at the emotional consequences of the pandemic on the survivors, whose safe and ordered world is disintegrating around them. I happily award this novel 4 stars - it would have been 5 had Recht just come up with some original new twist on the standard zombie tale. 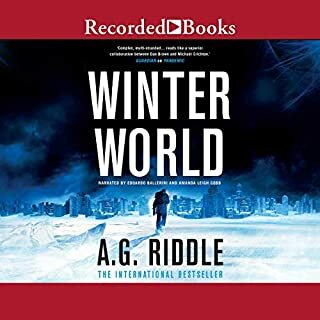 The narration is wonderful and, although nothing in here will surprise you, you will have quite a few happy hours listening to this audiobook. Highly recommended. read the hard copy and listened to the audiobook. unreal :) would recomend. easy 5 stars. liked it but want to know what happens next! hope there is a new one soon. Really enjoyed this book - it wasn't challenging and was familiar but I looked forward to listening to it. Recommended. Would you consider the audio edition of Plague of the Dead to be better than the print version? I love books like this because you can, work, excersise, have it on in the background and you do not have to listen too hard to follow the plot. What other book might you compare Plague of the Dead to, and why? Take your pick of any of the multitude of Zombie novels, this is similar to all but better than most. I love the opening scenes where the problem is beginning to escalate. Not that sort of book, imagine a trashy American horror movie and your not far off this book. 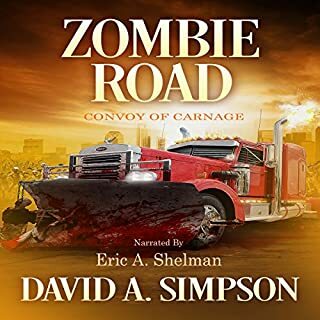 To be fair, it does not offer anything different from most Zombie books but the flow of the story is great, the characters and dialogue are poached from Aliens and this somehow makes it more enjoyable. Switch off your brain and enjoy. What made the experience of listening to Plague of the Dead the most enjoyable? What was one of the most memorable moments of Plague of the Dead? No, but truthfully I was not looking for a book about zombies which would 'move me'. I wanted something easy and fun to listen and long enough to fill out the details. I will buying the next in the series! I am not a fan of Zombie books. 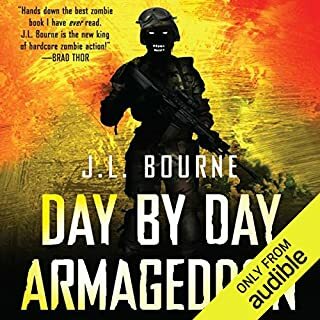 In the past I bought one (“Day By Day Armageddon”) and, although I enjoyed it, there was too much zombie and not enough story for me. There seemed like only so many ways to describe killing a zombie by shooting it in the head and I found I did not really care much about the people involved. Given that I am not sure what possessed me to buy “Plague Of The Dead”. I suppose I was browsing and found the rating and reviews of the book to be enough to peak my interest. I ended up buying the book and, much to my surprise, found it difficult to put the book down once I got started. What caught my interest was a book written more like the story of people trying to survive in a world gone mad rather than a sequel of killings of the already sort-of dead. I cared about the people, much of the story line involved the way the world was falling apart and how the characters in the book were trying to survive without the support structures of a normal civilization. It was not just interesting, the story grabbed me from the start and never let go. When I finished the book I immediately bought the next 2 books in the series. I don’t know if the story is a trilogy and hence complete in these 3 books or if there will be more, but I wanted to know what happened to the characters I had met. It is hard to say anything better about a work of fiction than that you become interested in the fate of the characters. The narration is first class and I am happily through about half of the second book in the series. It feels sort of like a guilty pleasure. If you don’t mind spending your time on “fluff” and you can live with the language you might enjoy it as well. Makes my top 10 Zombie Stories of all time!! This series is great!! Definitely needs to be a movie series!! This story starts from all these different places and times that are so far apart. But by the second book you see it all coming together for a great finale in book 3 (when it comes out on audio). The narrator did such an awesome job. I think the best narrating i've heard so far. Love the military side of this zombie apocalypse, with the Suez Canal and small pacific Islands. I had fun google earthing while listening to this story. It was like I was following them the whole time. Then the goverment red taping the scientist. Story had alot of escaping, from dirty authorities from hords of zombies. And you think main characters don't die, well not in a apocalypse! Book 1 does not disappoint!! Written in 2006, it would not be fair to say this is the same old same old, even though it is. Since 2006 the Zombie boom has brought us a plethora of Zombies. Now a book that talks about the start of a plague, the slow discovery, the convincing of the public, the government cover up, the fact that you have to shoot a zombie in the head to kill it and everything else we all know like the back of our hand, is boring. The writing is also simplistic. Now we have Cell by Stephen King, Cattle by Joseph Duncan, The Girl With All The Gifts by M.R. Carey, The White Trash Zombie series by Diana Rowland and the Apocalypse series by Peter Meredith, just to name a few. Skip Plague. P.S. One of the advantages to following someone with your same likes and dislikes, means you get all the reviews, even during a sale. Low reviews get held pending approval, and don't get released until after the sale. Followers get an immediate e-mail, saving them money. 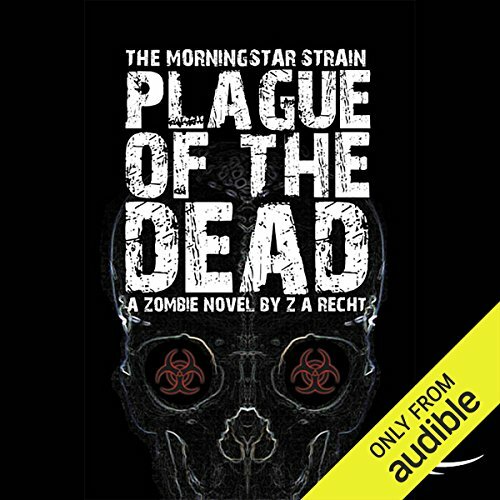 I am a huge fan of zombie literature, but could barely make it through this audio book. 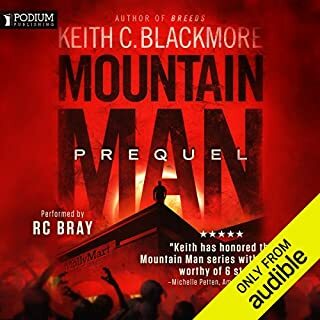 The narrator makes every character sound like either a moronic surfer stereotype (the male characters) or an annoying twit (the female characters). The action sequences were slow, using false feeling military jargon spoken by unrealistic military personnel. If this is meant to be a very young adult book, then perhaps it is alright. If you are above the age of 13, then I believe that you will be sorely disappointed as I was. What did you love best about Plague of the Dead? The Zombies where great characters and really were scary. The isolation and loneliness came through very well. The town.... those who listened will know what I mean. I truly would not want to be chased like that. 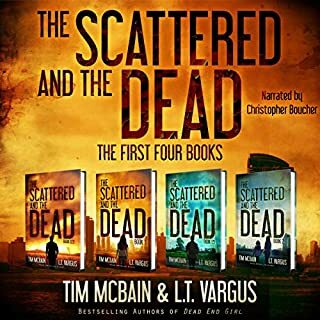 This series is worth the time if you love your Zombie stories. 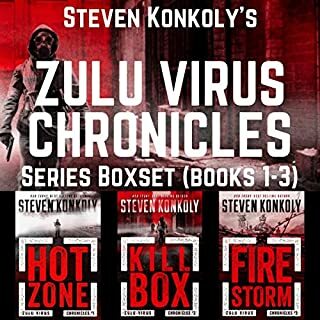 A must-have series for zombie fans! 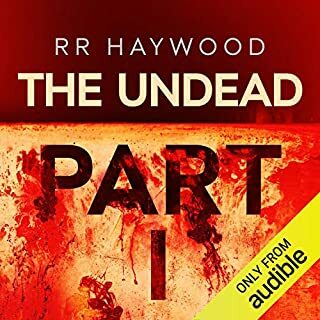 One of the best zombie stories available on Audible. I really enjoyed this whole series. 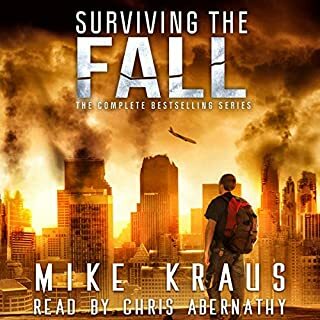 It was a little annoying at the very beginning of this book, with the emails and the way it was all read and the narrator's seeming unfamiliarity with certain acronyms, but once the actual story got going, I couldn't stop listening. I'll definitely listen to this one again. Glad there were two other books after this, because I didn't want it to end! I couldn't make it through this audiobook. I enjoy tales of apocalypse as much as the next person, but Recht makes the classic hack mistake of telling us everything (how a character is feeling, what the character is like, etc.) instead of showing us through dialogue and description. 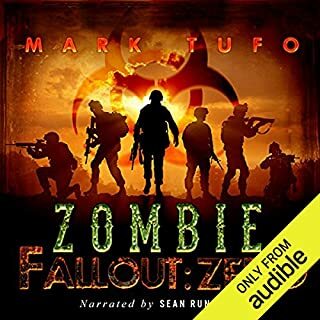 If you want a truly superb audiobook of the same variety try Max Brooks' World War Z.
I couldn't turn my mp3 off with this one. fast paced, exciting, and gripping. very well written for this genre. It's not Nobel Prize winning literature, but if i wanted that i wouldn't have chosen a zombie book! Awesome, awesome book. Well worth my credit! If you like this, definitely get the next one, Thunder and Ashes. Can't wait for the third installment.